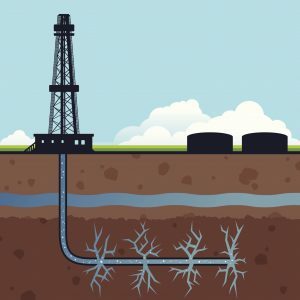 As the UK government seeks new ways to ensure domestic energy security and hedges it bets on long term hydrocarbon production tax receipts, the push for fracking has naturally concerned local communities in proposed and planned hydraulic fracturing areas. Communities looking to document water quality from underground springs and boreholes they source their drinking water from have been contacting Feedwater to see what options are available. Because of the growth in analytical services the Feedwater labs have been offering due to the success of the Feedwater web shop, a discussion took place to decide what practical water analysis solution could be provided for testing water in hydraulic fracking areas. It was decided that a test comprising of our existing Chemical Potability analysis, Heavy Metals group 3 and a new ‘methane in water’ analysis would be performed in order to analyse the state of the water before any hydraulic fracturing campaigns commence and to document any changes due to potential leaching of chemicals, minerals and gasses during the campaign. The analysis requires just 1L of water to be sampled with the addition of two 40ml vial samples taken for the methane test. This analysis comes with results and professional interpretation from our senior chemist. N.B The analysis cannot measure for biocides that could be associated with fracking.